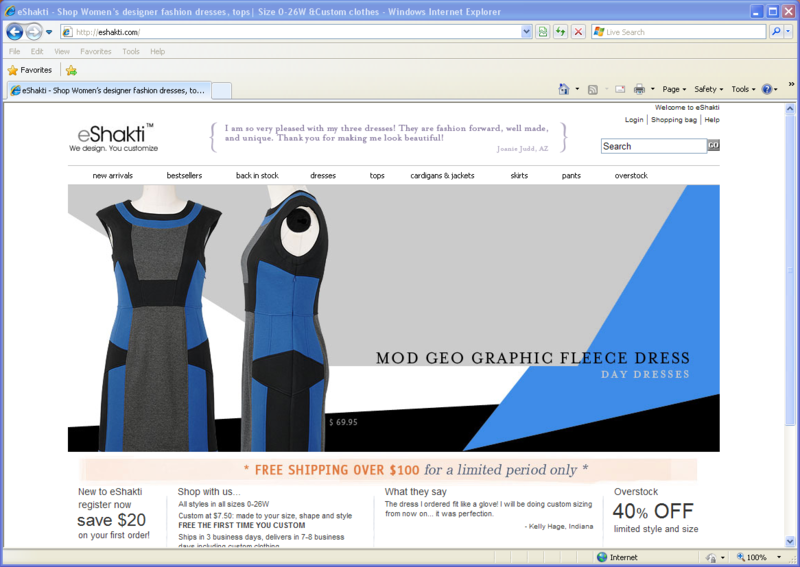 Site name and description: eShakti is a women’s fashion site that allows customers to customize their clothing orders. They recognize that women come in all shapes and sizes, and needs a product that fits them. 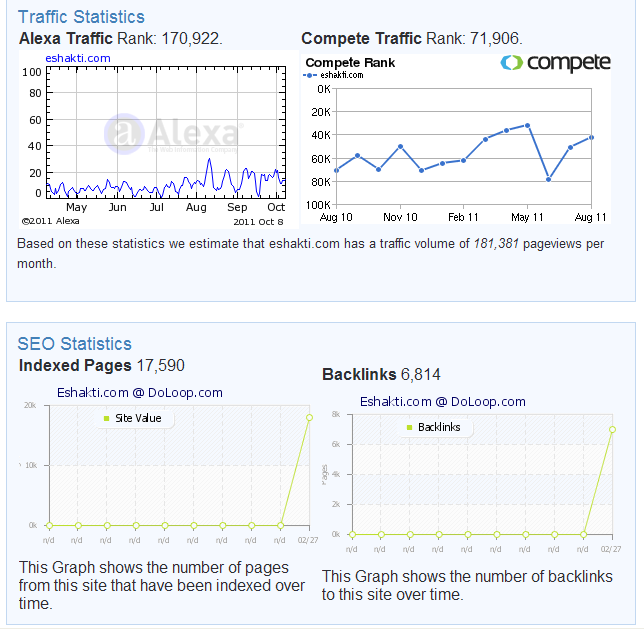 • “To make every customer look her absolute best. • “Provide amazing styles and a wide variety of fabrics and color choices in all sizes from 0-26. The site is offered in English only. Design Overview: The aesthetic is simple with easy fonts and colors, and pictures support the fashion aspect of the site. Drop down menus are straightforward and easy to navigate. Categories of products can be filtered for easier searching. There is also a search box. Audience: The audience appears to be employed women in their mid 20s to late 30s. There is contact and social media information on the bottom of the home page, as well as a section for updated information from the company and customer feedback (which appears to be only positive). eShakti also has made strong use of marketing through blog promotions and giveaways. As the review section shows, much of the material that comes up about eShakti in a web search is blog posts about the company.